Place washed broccoli florets in a medium saucepan with vegetable broth and a pinch of salt. Bring to a boil, reduce heat to low, cover with lid and simmer for 3 minutes. 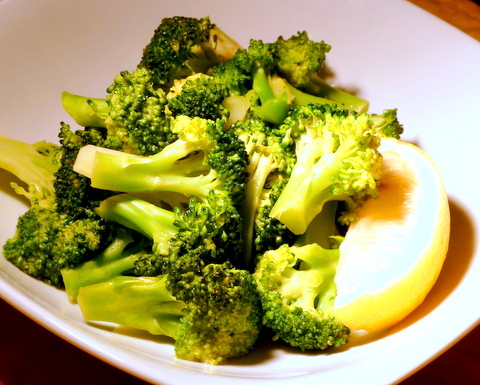 Drain the broccoli, then add butter, Bragg Liquid Aminos and lemon juice to the broccoli in the pan. Cover again with the lid and let it sit for another 2 minutes. Then baste the broccoli with juices in the pan and serve immediately.